Nobel prize winners, nuclear experts, and physicists pen open letter supporting Iran agreement ahead of Congressional vote. 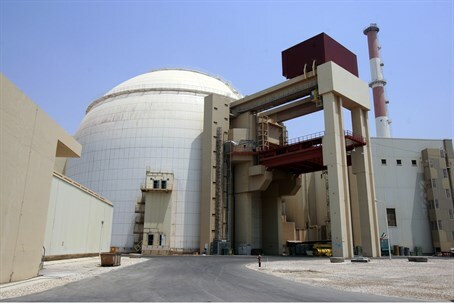 Twenty-nine nuclear scientists have signed a letter to US President Barack Obama praising the Iranian nuclear deal, the New York Times reports Saturday night, calling it "innovative" and "stringent." Signatories include Richard L. Garwin, a longtime Washington advisor on nuclear issues and arms who helped design the first hydrogen bomb; Siegfried S. Hecker, who directed the Los Alamos nuclear testing and development program from 1986-1997; and Rush D. Holt, a physicist and former member of Congress who now leads the American Association for the Advancement of Science. Five Nobel prize laureates also signed: Frank Wilczek of the Massachusetts Institute of Technology (MIT), David Gross of the University of California, Burton Richter of Stanford, Leon N. Cooper of Brown University, and Sheldon L. Glashow of Boston University. Many of the additional signatories include well-known professors and physicists, most with Q clearance - or access to classified information on military weapons development. The letter surfaces in the midst of a public relations war ahead of an expected Congressional face-off on the controversial nuclear deal.